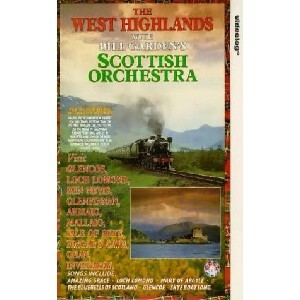 The West Highlands, The Scottish Music Shop - The Best Selection of Scottish CDs and Scottish DVDs. Go on a journey through the Scottish West Highlands while enjoying Scottish airs like Iolaire, Bonnie Mary of Argyll, Loch Lomond to name a few. Travelling from town to town visiting iconic locations of Mallaig, Glenfinnan, Loch Lomond, Inveraray Castle and other magical locations. For those who dream of visiting Scotland one day or for those who have been and wish to remember the magic.